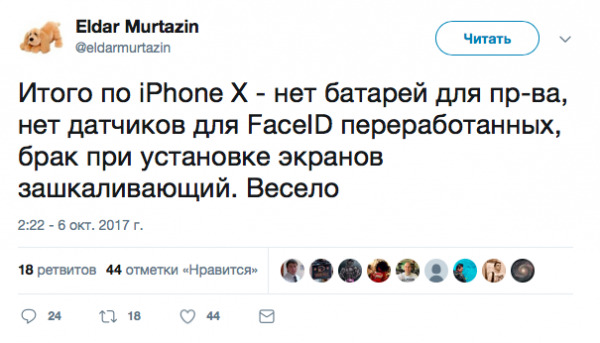 Eldar Murtazin has listed the main shortcomings of the iPhone X.
September 12, Apple unveiled three new iPhone expected iPhone updated 8 and iPhone 8 Plus, and the premium version with OLED-display, which was called the iPhone X.
Eldar Murtazin in his Twitter criticized iPhone X for a large number of defects in production and lack of components. Also, the analyst forgot to mention about the new facts of marriage battery iPhone 8 Plus. He believed Apple knew about the existence of problems in the production process, but did not take the necessary measures. 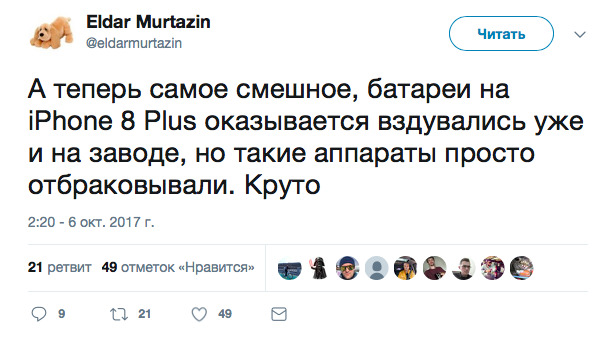 This week, Murtazin has compared the iPhone 8 Plus and Galaxy Note 8 video. In one of the clips, the analyst compared the performance of smartphones based on the example of open the PDF file of large size. 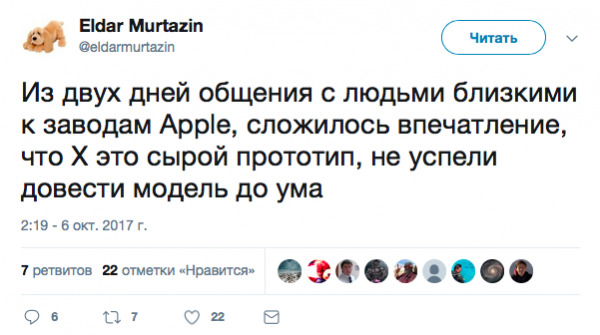 In the video the flagship of Apple is much inferior in capabilities to the opponent, what Murtazin did not miss the opportunity to mention with a large dose of irony. Also, the analyst compared the conversion speed and 4K videos. He recorded on both smartphone two-minute video, which then turned to black and white. 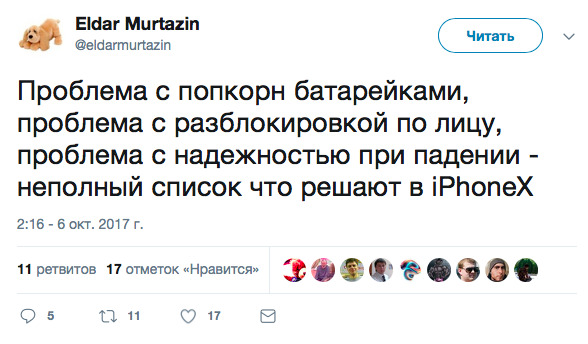 When shooting movies Murtazin referred to the tests of the resource, Tom’s Guide, according to which iPhone 8 several times larger than the Galaxy Note 8. In the video Murtazin Galaxy Note 8 has coped with the task in 22 seconds faster. Previously, we wrote about the fact that the publication CNET compared the iPhone’s camera 8 Plus and Galaxy Note 8 in movie mode. According to the newspaper, the flagship Apple surpassed rival.